One of the email subscription services I signed up for at some point is a daily recipe. Like many of these services, which seemed like a good idea at the time, I delete most of them without opening. If the title of the recipe does not intrigue me in some way i.e. a new or unusual food I’d like to try or a favorite that’s in need of a new twist, I usually delete the message without even opening it. If the recipe interests me enough, I’ll check out the ingredients and prep time. If it meets my criteria: ingredients I have on hand or are not too expensive or difficult to find and 30 minutes or less prep time, it makes it to the Recipe Folder in my email manager. So far, it’s an entry only file. More going in than actually being tested in my kitchen. A recent recipe was Savory Chicken. Savory got my attention. Savory conveys mouth-watering, aromatic and palate-pleasing. Anticipating a recipe with tasty herbs and spices, I clicked on the link. To my disappointment, what I found was a recipe not much different from an old stand-by passed on by my mother—tasty, but unimaginative. Billed as quick and easy it called for chicken breasts, a can of cream soup, bread crumbs, milk and cheese. But not one single herb or spice. What is savory if not, as Merriam-Webster's describes it, “pleasing to the sense of taste especially by reasoning of effective seasoning”? Used as both an adjective and a noun, savory is one of several plants in the Middle Eastern family of aromatic mint plants. Gernot Katzer identifies a winter and summer variety whose leaves are used to add both flavor and aroma to a dish. 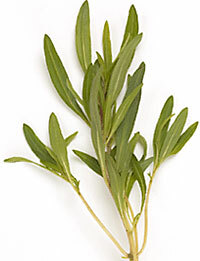 Often compared to thyme, it has a pungent taste. In some cultures, savory (or savery) was considered a poor substitute for black pepper. It’s not surprising, given its origin, that savory continues to be associated with culinary descriptions. Often paired or compared with sweet—sweet and savory—it suggests a combination of sweet and spicy. Savory is also described as palatable, tasty in which case the exact flavor—sweet, spicy, salty—is in the taste buds of the beholder, er…taster. If it tastes good to you, I guess you’re entitled to call it savory. And I recommend that you savor (relish, enjoy) every bite of a savory dish. Savory also carries a moral or ethical meaning—“pleasing, attractive, agreeable” (dictionary.com); “morally wholesome” (freedictionary.com). Though it seems that unsavory is used more often in this sense than savory. A person of ill-repute is frequently described as an unsavory character. I rarely hear a dish that is lacking in taste described as unsavory. Unpalatable, bland, tasteless, yes. But unsavory seems to be reserved for character description. Personally, I recommend avoiding unsavory characters whenever possible, especially if you’re thinking of hiring a chef.